Mr. Bentley invented a way to buy himself the time he needed to accomplish his goal. He changed the way humanity understood snow as a result. 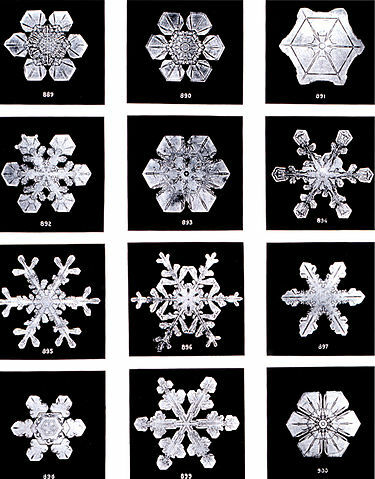 We now understand that these fragile, fleeting, complex, and temporary ice crystals that fall on us in storms are individually unique works of art created by nature. We can now picture in our heads how each storm is a universe of fractalian prisms drifting gracefully to the ground. Each universe is destined to melt, evaporate, and return to us (hopefully) in next year’s winter. Each cycle containing an unnoticed complex beauty that requires some work and ingenuity to even observe. Energy savings measures in buildings are also complex, unique, and beautiful in their own way. Each approach starts liquid, unformed. A malleable idea in someone’s mind. As we work towards implementation it begins to solidify, it becomes a network of actions each of which is dependent on the outcome of the action that came before it. Energy savings measures grow in complexity proportional to their reach or scope. In the end they end up a solid structure of changes within a building that is visible with a little hard work. The trick with energy savings, much like with snowflakes, is to try to retain them; to make the savings persist. Like a snowflake, they can evaporate over time. It takes some more hard work to show the people who are responsible for decision making in a building what a complex and beautiful thing those energy savings are and how fleeting they can be in the face of an override, or a decision to save first cost. I am fearful that because of humans’ behavior over the last 50 to 100 years and our current political climate, that we will be seeing less snow in our future. The world will be that much less beautiful as a result. I do not want to live in a Vermont without snow. I do not want that for my children or grandchildren either. So, I will endeavor to be like Mr. Bentley and invent a means to buy myself time to change the world and save the snow. I encourage you to start 2018 the same way.